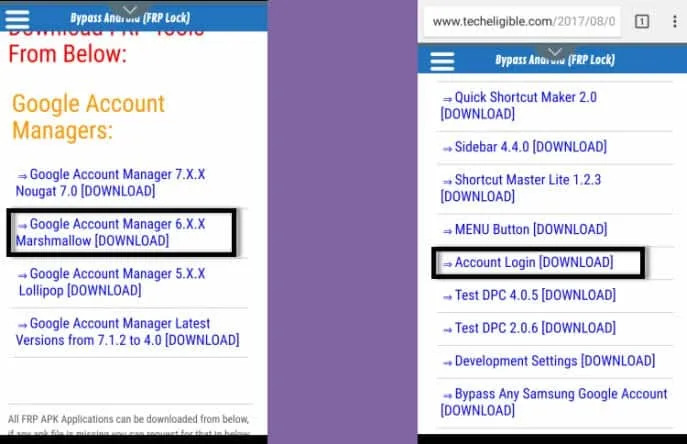 Bypass Google Account Sony Xperia Android 8.0 without connecting to PC/Laptop, or enabling adb mode, this is easiest way to bypass frp, google frp lock appears only if you have bought used device, so after hard rest or soft reset, google ask for previous sync gmail id to verify ownership of the device. 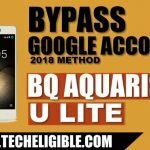 So if you’ve forgotten your gmail id, or unable to access home screen by any means, you can try this method to Bypass Google Account Sony Xperia Android 8.0. -Connect WiFi to your device first. 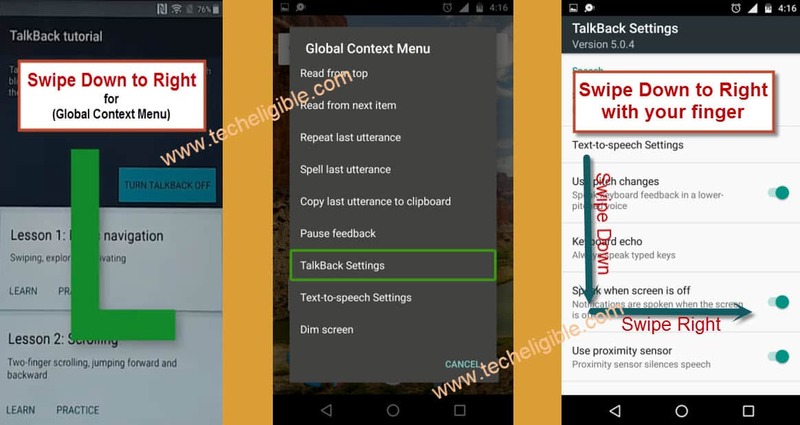 -Tap on “Visual AIDS”, and then tap on “Talkback”, now “Turn on” talkback feature. -After that tap on “OK” from popup. -Now wait few second until you get “Talkback Tutorial” screen. -Draw “L” on screen to bring “Global Context Menu” screen. -Now press and hold both (Volume UP + Down) keys together to disable talkback feature. -Tap on “Help & Feedback”, and then tap on “Get started with voice access”. -Now tap on “clock icon”, this would redirect you to “chrome browser”. -Tap on “Accept & Continue”. -“Turn off” data saver, after that tap on “Next”, and then “No Thanks”. -Now you have accessed to google “Chrome Browser”. 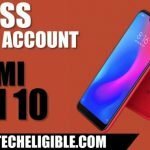 -Go to “Techeligible.com” site as shown in below image. -Now go down, and download from there “Appex Launcher”. 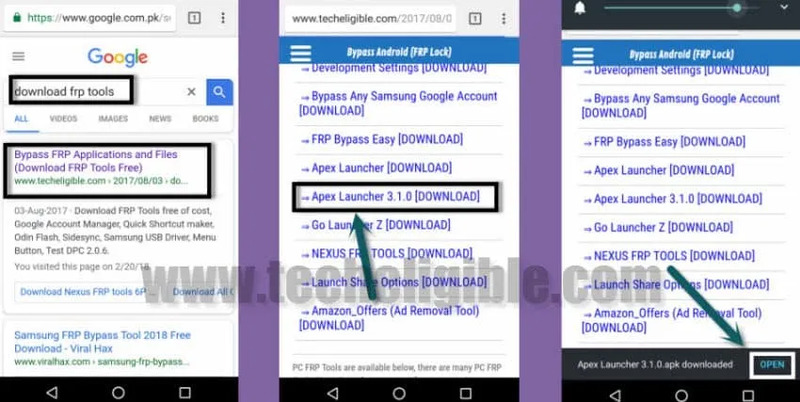 -Once downloading finish, you will surely get a popup bottom of your browser, just tap on “OPEN” from that popup to go to install appex launcher. -Now you will get “Unknown Sources Blocked” popup, tap on “Settings”. -Enable option “Allow from this Source”. -Tap on “Install”, and then tap on “OPEN” to launch appex launcher. -Congrats, now you have successfully accessed to your SONY XPERIA “Home Screen”. 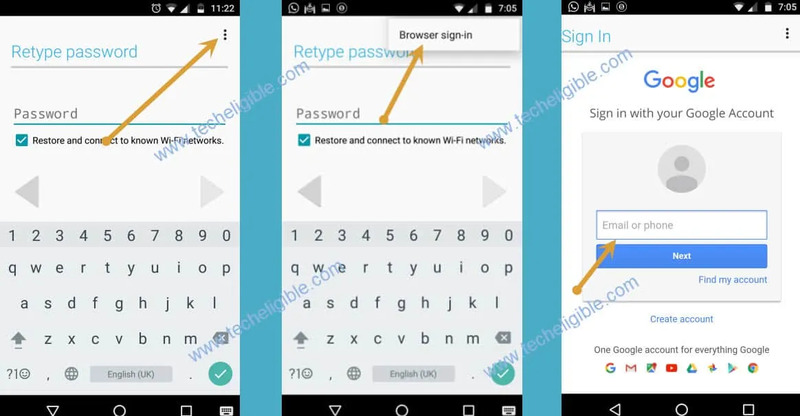 -Open “Chrome Browser” once again to Bypass Google Account Sony Xperia Android 8.0. -You will get same downloading techeligible page. -Download from there “Google Account Manager 6.0”, and “Account Login” apk files. -After downloading done, go back to xperia home screen. -Now go to “MENU”, and then go to “Download” folder. -Now tap on “Google Account Manager 6.0”, and then tap on “Install”, after that “Done”. -Tap on “Account Login”, then “Install”, after that tap on “Open”. -Now you will be redirected to “Browser Sign-in” page. 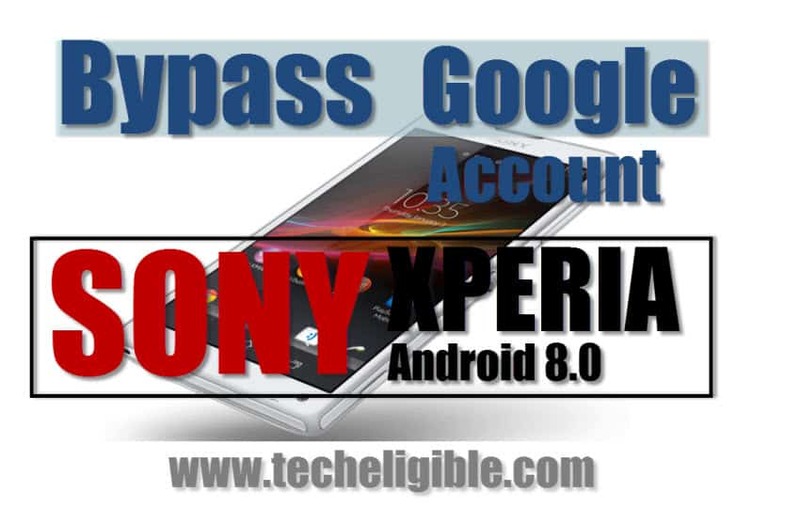 -Let’s sign in there with a valid gmail id to Bypass Google Account Sony Xperia Android 8.0. -Once you signed in successfully, after that “Restart” your device. -Now complete initial setup to access sony xperia home screen. On Xperia X Compact with Oreo 8.0.0 under Help and Feedback, there is no article listed to select. What do you advise? When I try to open account login it crashes and tries to restart, then I keep getting ‘frp bypass keeps stopping’. Why the apps never work..